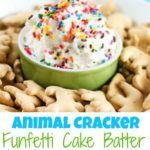 This Animal Cracker Funfetti Cake Batter Dip would make the perfect recipe for a party or family gathering and would also make a fun after school snack. 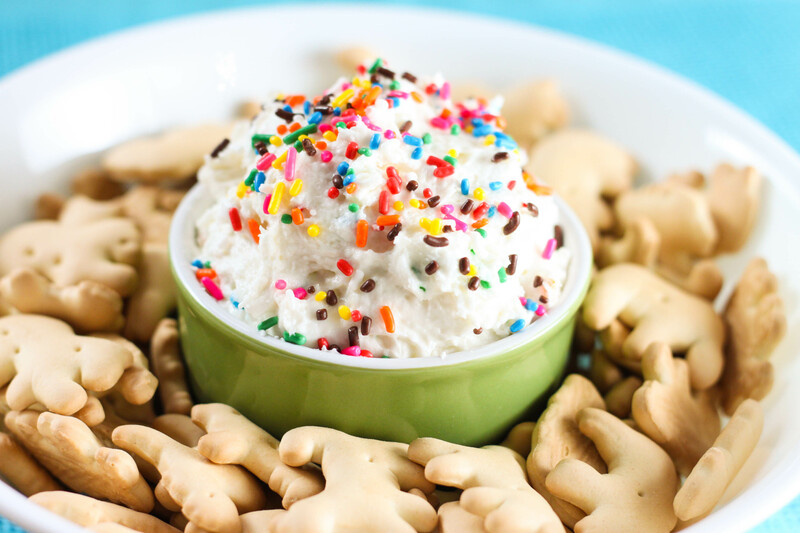 Animal Cracker Funfetti Cake Batter Dip is an easy recipe that is perfect to let you little ones help make. This dip was a huge hit with my boys! Not only did they love the taste of it but they also got to help make it, which was extra fun! I found this recipe in a fundraiser cookbook made by other farmwives and dairy farmers. This recipe uses just shy of half a box of cake mix so you can make two separate bathes with one box. Or you could double the recipe for large crowd and use almost the whole box. I used vanilla Greek yogurt for this dip but you could use plain yogurt or plain Greek yogurt. Let the cool whip sit out a couple minutes to thaw a little before you add it to the other ingredients. This will help you be able to measure it more correctly and it will mix together better with the other ingredients. You can lighten this recipe up by using fat free cool whip, and non fat yogurt. My oldest has requested we make this the next time he is in charge of snack at school! 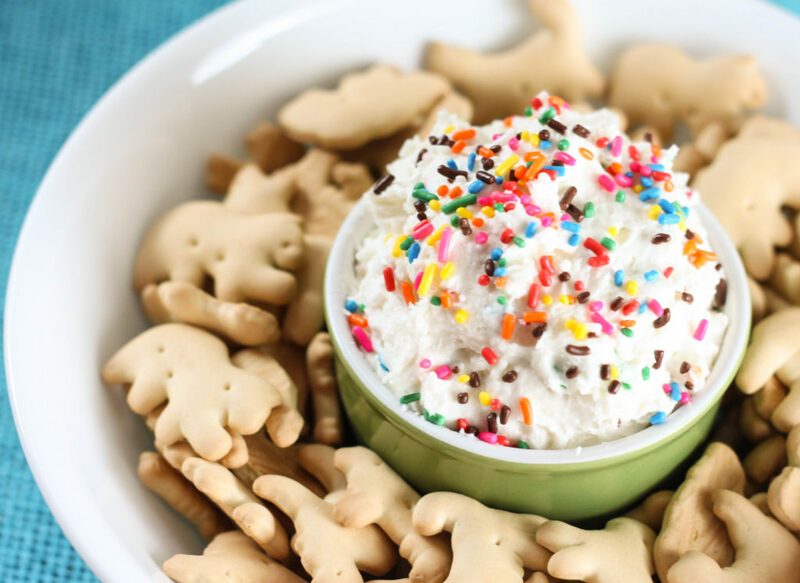 This dip recipe is perfect for an after school snack or kids party. Mix the cake mix, Cool Whip and Greek yogurt together until blended. 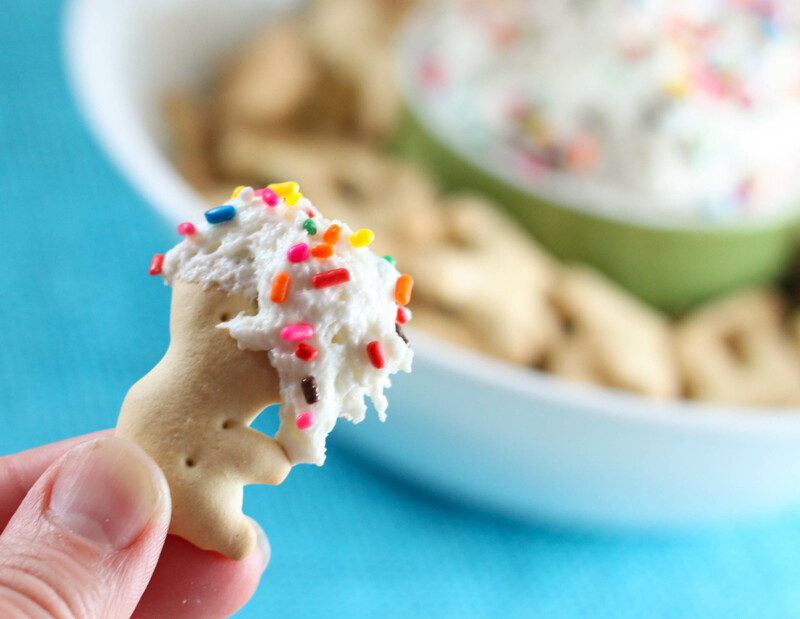 Sprinkle with rainbow sprinkles and serve with animal crackers.